Jazz saxophonist Kenney Polson is also an accomplished composer and educator. Based in the Pacific Northwest, he has lived and performed in over 50 countries. Known widely as a smooth jazz artist, his seasoned musical style incorporates Latin, classical, New Age, rhythm & blues, funk and gospel influences. – resting on a firm foundation of straight ahead jazz. Polson has appeared on U.S. television with jazz greats Kenny Burrell, Jimmy Heath, Phil Woods, David Sanborn and Wynton Marsalis. He has performed live with Joe Williams, Gil Scott-Heron, Michael Henderson, Norman Connors, Bettye Swan, and Lee Garrett. He has toured Japan, Korea, Hawaii, Colombia, Brazil, and over a dozen Caribbean Islands. In 2016 and 2017, he toured extensively with Rick James’ Original Stone City Band playing major festivals such as Capital City Jazz Festival and Orange County Funk Fest in California. 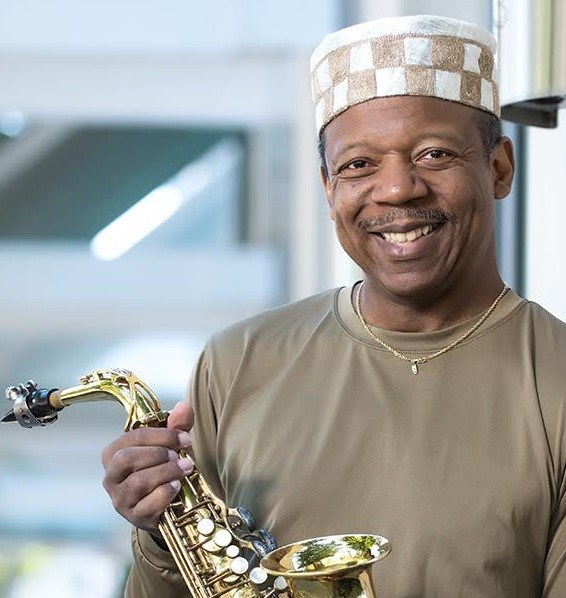 With the Kenney Polson group and other ensembles, he has appeared at the Stockton Smooth Jazz Festival, PDX Jazz Festival and Vanport Jazz Festival. His smooth tones are well known in Pacific Northwest jazz haunts such as The Jazz Station in Eugene, Jack London Jazz Club in Portland, The Royal Esquire in Seattle and the 1905 Jazz Club in Portland. His high-charting 2019 album For Lovers Only, blends smooth jazz with rhythm and blues and includes leading players such as guitarist Bruce Conte and keyboardist Roger Smith (Tower of Power), trumpeter Larry Gittens (Kool & The Gang), guitarist Phil Upchurch (Donny Hathaway and George Benson), and smooth jazz pioneer – pianist Tom Grant. Trombonist Fred Wesley (Parliament Funkadelic) and bassist/vocalist Michael Henderson (Miles Davis, Stevie Wonder) are also featured. Polson was born in Kansas City, Missouri to a musical family. His grandfather, “Chubby Wayne” Harshaw (Count Basie, Cab Calloway), was a major musical influence, along with his Uncle Charles, who sang with the Coasters. Polson earned a master’s in jazz composition and arranging from Howard University in 1997.